One of the hub’s best known pieces of technology may become an official city landmark after all. The Citgo sign almost didn’t make it. Three decades ago, the Boston icon was nearly torn down. It seemed its time had simply passed. The jumbo, neon billboard, long a pulsating glow above Kenmore Square, had remained darkened for several years by the energy crisis. Twin signs in several cities like Chicago and Milwaukee had already been dismantled. In Boston, though, people didn’t want to let go. By the time the commission halted the wrecking ball with a last-minute reprieve, demolition workers had already hoisted their equipment to the roof of the building where the sign stands. It couldn’t be torn down yet, officials said, because they were considering designating it a city landmark. And though they ultimately concluded the sign was an important example of 1960s pop art, it didn’t end up becoming a landmark after all. The commission couldn’t justify the operating cost that stewardship would require. I’m not alone in my affection for the vibrant landmark. In August 1983, when it was relit for the first time in four years, a crowd of 1,000 people gathered in Kenmore Square and cheered. All these years later, after dusk, you can see still the Citgo sign’s double-sided glow from several vantage points throughout the city and beyond: a background of horizontal white lines that blink on and off, the red-orange delta in the center, and the constant electric blue of big block letters. Now, the Citgo sign is again up for landmark status. “That means any building plans that might affect the sign would be subject to voluntary design review with the Boston Landmarks Commission,” The Boston Globereported on Tuesday. “And more stringent protections could come in a few months.” The timing of this effort is key, as the building the sign stands on—owned by Boston University—is up for sale. Still, it will be months, at least, before protective status is even possible. First there will be an architectural and historical study of the billboard’s significance, and a public hearing. For those who love the sign—and I’m among them—there are many compelling reasons to suggest it deserves landmark status. Obviously, there is the longevity of its perch above Kenmore Square. It was originally installed in 1965, replacing a large but conventional Cities Service sign. 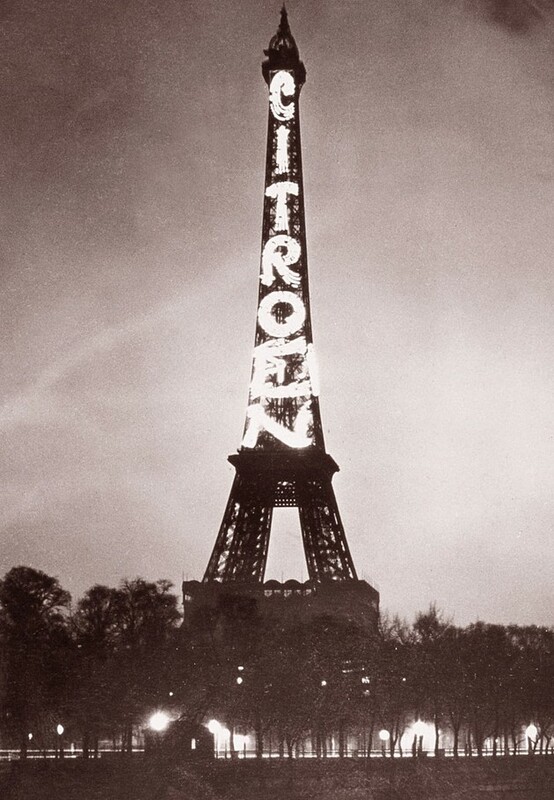 Since then, the Citgo sign has “become part of the language of the city,” Arthur Krim, a member of the preservation faculty at Boston Architectural College and a long-time advocate for the sign’s landmark status, told The New York Times. Computer controlled—but human maintained. For decades, the same electrician—Martin Foley—was responsible for upkeep of the sign. Suspended from a wooden swing, he would clean and replace the sign’s 5,878 neon-filled glass tubes—until they were replaced with LED upgrades in 2004 and again in 2010. “Over the years, Marty has maintained and cared for the sign through bulb burnouts and hurricanes, lightning storms, and power outages,” Citgo says on a section of its website dedicated to the sign’s history. 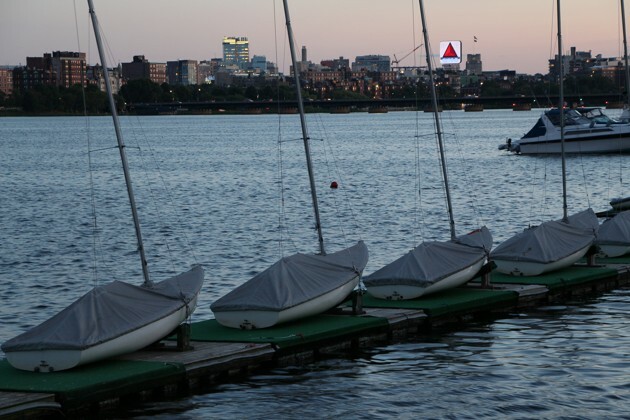 Really, technology is at the heart of what makes the Citgo sign worthy of landmark status. Not just because of its illuminated design, but also because of the way another form of technology enmeshed it into the cultural landscape. 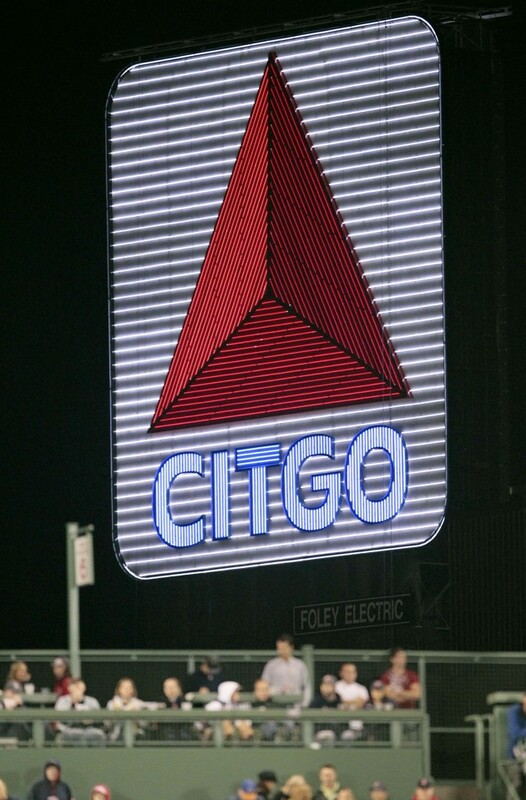 From Fenway Park, the Citgo sign is visible over left field. (Except for the time when, during one surreal game in 1971, thick fog transformed the neon fixture into a blur of color before the sign seemed to vanish completely.) Which means that, in the age of television broadcast, countless thousands of baseball fans who are watching the Red Sox on TV catch a glimpse of the Citgo sign every time a camera pans up to follow the trajectory of a home run over the Green Monster. Television made it so the Citgo sign isn’t just beloved in Boston, but synonymous with Fenway Park—arguably the most important historic landmark in baseball. The impermanence of beloved landmarks—even in a town like Boston, which sometimes feels like it never changes—is part of what gives a city life. Even the brightest spot in a sparkling skyline can burn out. Perhaps that’s inevitable. As LED light gets cheaper, it’s increasingly common to see illuminated buildings—the ubiquity of which may eventually make a structure like the Citgo sign seem dimmer in comparison. That is, if it remains in the night sky over Boston at all.